A few years ago, I was reading a blog post of a friend of mine where she talked about a commonplace book. 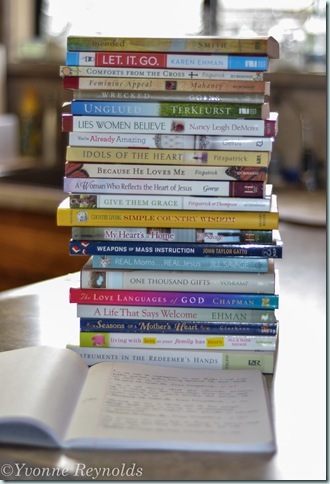 In this particular blog post, Cheryl talks about the importance of investing in ourselves as wives and moms to be reading good books to encourage us to continue in this path we have chosen to follow. I have now filled up two composition journals with quotes and Bible verses that have spoken to me over these past few years. I was just thinking today what a gift these will be for my daughter when she is old enough to become a wife and mother.